As they describe themselves -“Established in 1995, RAK is an internationally recognized nonprofit based in Denver, CO. We consist of a small team that is dedicated to inspiring everyone to practice and spread kindness in their own lives. Ultimately, we’re here for the kind-hearted do-gooders who are looking to spread kindness where they can which is why we provide FREE online resources to encourage acts of kindness across the globe (schools, communities, every-day experiences, etc.)”. Check their website as it is an amazing source of wonderful ideas and inspirations. The awareness of being kind and selfless acts of spreading the kindness around are really needed in today’s world. It would be good if it didn’t need to be taught and came as a reflex but it is not always a case. Teaching kids the kindness from the small age would definitely benefit the whole future society. Lets hope the kindness can be a natural state for everybody one day. It is very important to be generous, considerate, thoughtful and kind to others but also to yourself. We sometimes forget about it… What act of kindness are you going to do for yourself today? Apart of the amazing effect on others and making our world a better place, kindness has also many benefits for the person who performs the act of kindness. Based on some studies by researchers including author and scientist dr David R. Hamilton, kindness has many positive effects on our body and life (find the whole article by dr Hamilton here). Listen also to his amazing TED talk – very inspiring! So what you could do? Lets join the kindness revolution and start the ripple effect! Pay forward any act of kindness you experienced and be kind to others! What is your idea of being kind? The more kindness we spread the better world we make around us! Share love and kindness and see it coming back to you!!! It’s nice to know that there is an international kindness week. In today’s society where being kind can be perceived as weak, being brave to spread kindness and wear it like a shining armor is much needed. We can smile at strangers as a way of radiating kindness. 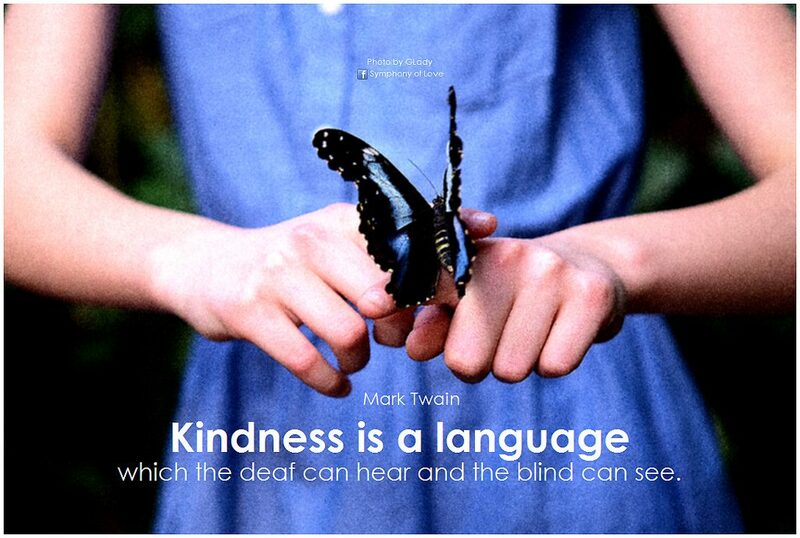 Hi Katey, I hope and truly believe that being kind is not perceived by most people as weak. Maybe the ones who do feel that way never really experience true kindness, and that is really sad. I totally agree that the world needs more kindness. It’s both wonderful and sad that we have a week dedicated to kindness. It’s wonderful because kindness in all its forms should always be celebrated. It is sad because kindness should never really need to be promoted or encouraged. It should come naturally to everyone. But we do not live in a utopian reality. So I understand the need to promote and increase awareness about being kind. And the great thing about being kind is that we do not need to do big things. Small acts of kindness can make a great impact on the life of someone who is down. You are very right Kevon- we don’t need huge actions because even smallest act of kindness can be contagious and start the ripple and create change!Thanks for your comment! Thank you for sharing this Elektra. My philosophy is literally “making the world smile,” and what better way to do so than to show kindness during this special week. I’ve never heard of RAK before, but based on your description they seem like a really great company. I checked out their website and plan on joining in on Kindness week by spreading the joy of a movement I practice called parkour. It’s a really innocent discipline that takes you back to when you were a child being adventurous on the playground. Good on you for joining in the Kindness week activities! Please come back and share with us your little acts of kindness. I love this page because these days people are incredibly self centered these days. I always try to be kind in small ways in public doing things like holding doors, letting someone cross the road and sometimes just a simple smile and “hello” can make someone’s day. Thanks Linda! I love your ideas of kindness! Little actions can speak very loud! Lets spread it around! This is a great post and some great comments. I really try to live by these sentiments of being more helpful, kind and thoughtful, even when something or someone bothers me, I always try to look for the brighter side and try to understand those folks could just be having a bad day. Thanks for your awesome comment Neil! Yes, I came upon this story as well. It is quite eye opening!!! We never know what others go through so being kind, thoughtful and considerate is always the best approach.